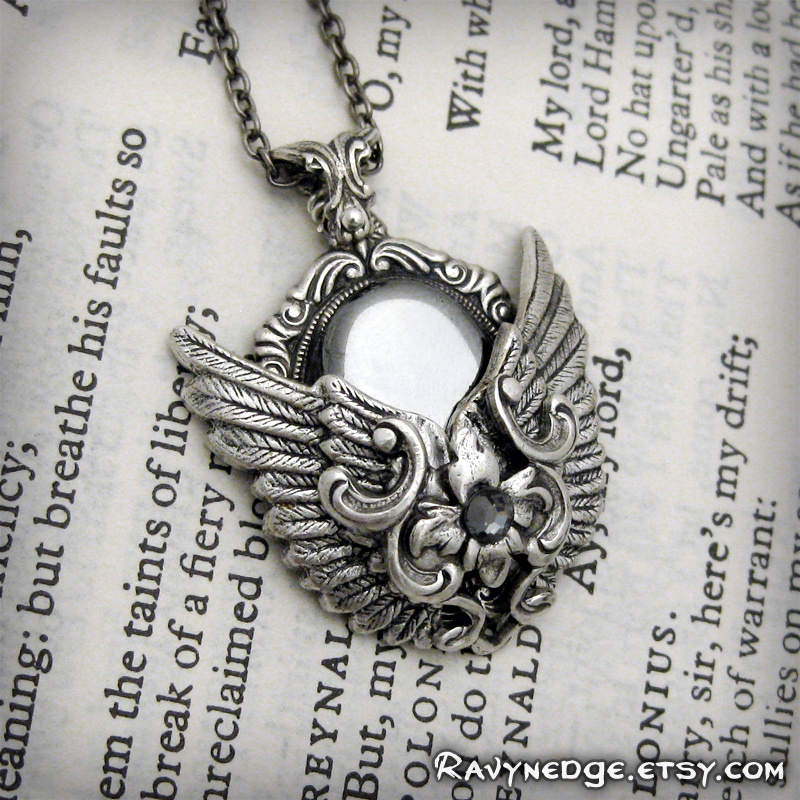 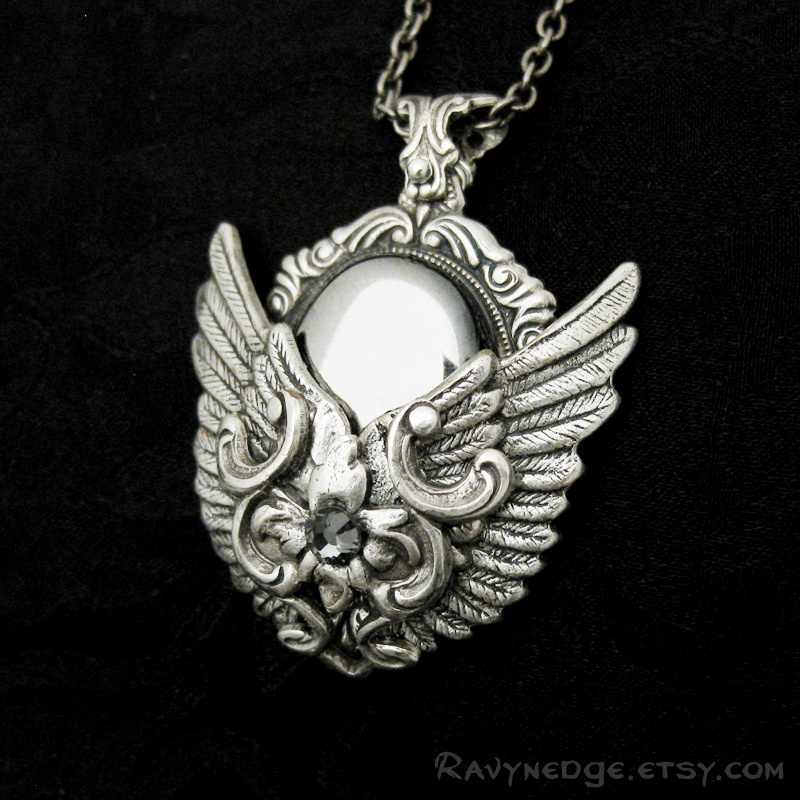 Reflections Pendant - Hematite Stone and Silver Filigree Wings Necklace by RavynEdge. 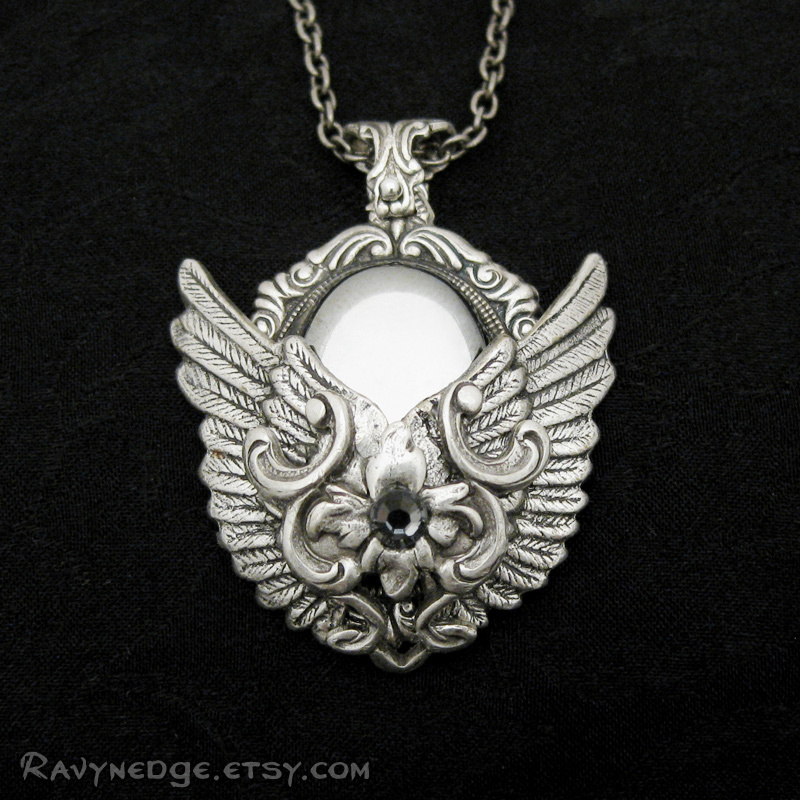 A reflective vintage glass hematite stone peeks out from behind a pair of highly detailed wings adorned with flourishes and a small crystal silver night Swarovski flat back. 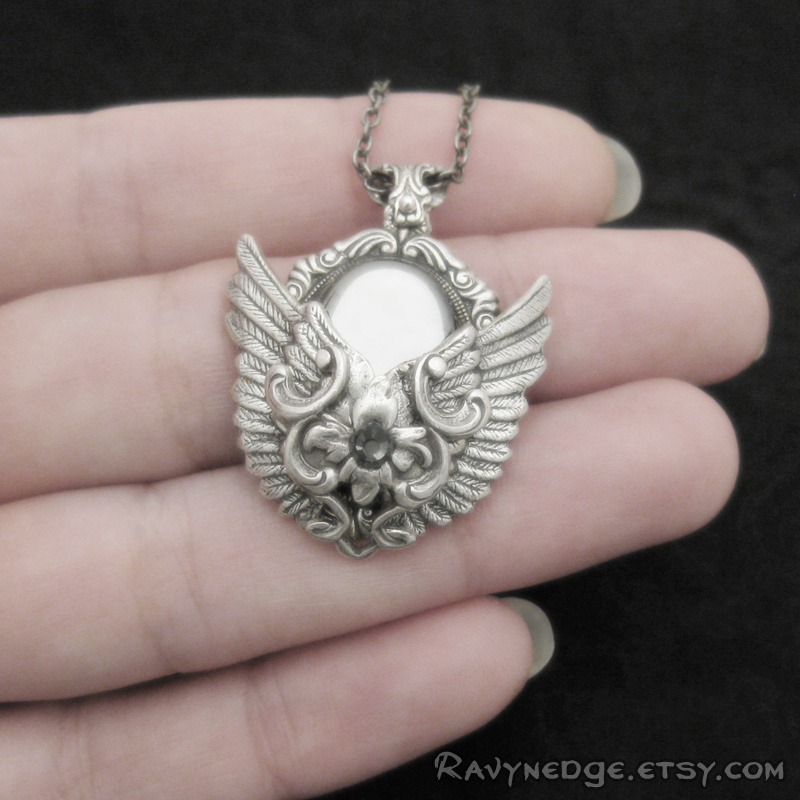 Measures a petite 33 x 25.4mm (1.3 x 1 inches) and hangs from a silver plated steel chain. 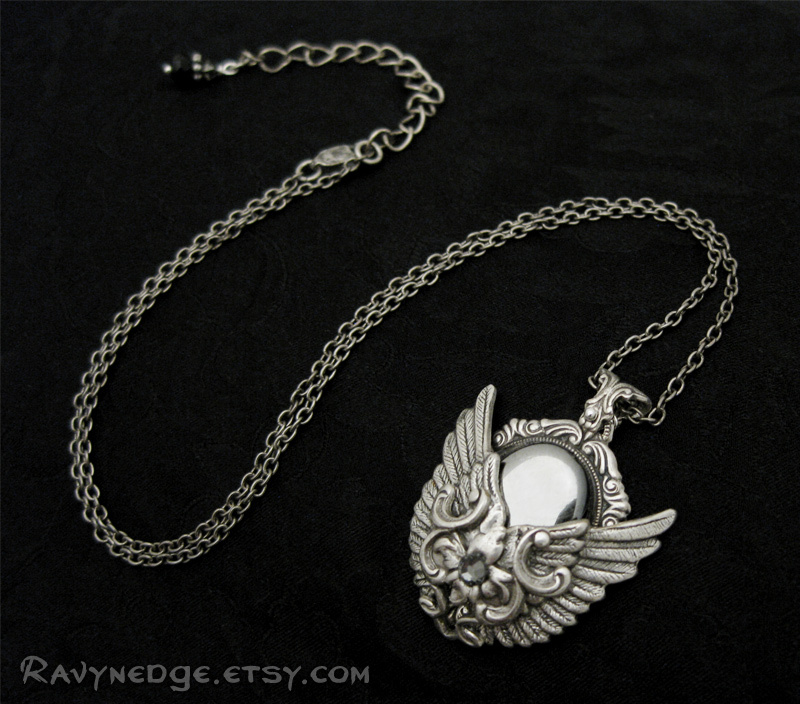 The chain adjusts from 16 to 18 inches (40.6 to 45.7cm) and closes with a lobster clasp.